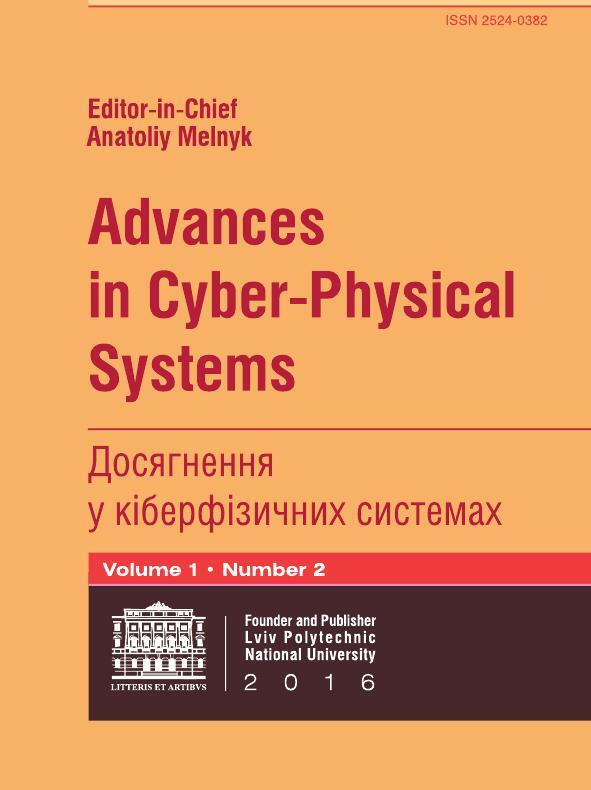 Lviv Polytechnic National University is pleased to announce the launch of a new journal: Advances in Cyber-Physical Systems (ACPS), in 2016. ACPS will publish timely, novel and high-quality recent results that advance the state of the art and practice in Cyber-Physical Systems, including theoretical principles, tools, applications, systems infrastructure, and test beds for Cyber-Physical Systems. Cyber-physical Systems are engineered systems whose operations are monitored, coordinated, controlled, and integrated by a computing and communication core embedded in all types of objects and structures in the physical environment. Examples of the many Cyber-Physical Systems application areas include the smart electric grid, smart transportation, smart buildings, smart medical technologies, next-generation air traffic management, and advanced manufacturing. Such systems must be operated safely, dependably, securely, efficiently and in real-time. Advances in this field will have great technical, economic and societal impacts in the near future.